As Editor of Flying for Life magazine, I am inspired on an almost daily basis by stories of MAF’s work which it is my great pleasure to share with you through the magazine’s pages. 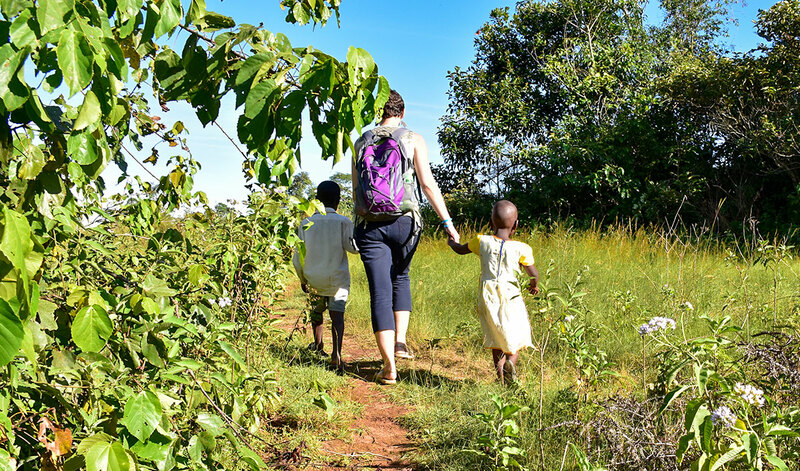 Today, it is my particular privilege to tell you about a very special group of people who Youth Manager Rebecca Walker and I met on our recent trip to our Uganda programme. I pray that what you are about to read conveys just how special your prayers and gifts are to our isolated brothers and sisters in some of the world’s most remote areas. On a bright and beautiful Monday morning, Sam Tsapwe turned around and uttered these words to us. We were sitting in one of MAF’s smaller aircraft, a Cessna 206, waiting to take off from Kajjansi airfield to Lwanabatya – a tiny village on Bukasa Island. Sam is an evangelist with Jesus Film Ministries, and one of our regular passengers. We'd met only moments before and – apart from exchanging names – that unforgettable 'ends of the earth' introduction to our nearby destination was the first thing he'd said to us. Rebecca and I felt truly blessed to be accompanying Sam on our first ever MAF flight – one of the shorter flights we make anywhere in Uganda. A boat journey from the northern shore of Lake Victoria to Bukasa Island takes several hours. Not only will an MAF flight get you there in 20 minutes, it avoids a potentially dangerous lake crossing! But the islanders rarely set foot on the mainland. Their lives depend mainly on catching fish from the lake. And, while they are hardly the most remote community we serve, they are among the most physically and spiritually isolated people in all of Africa. You can help us reach isolated people in 27 countries worldwide. 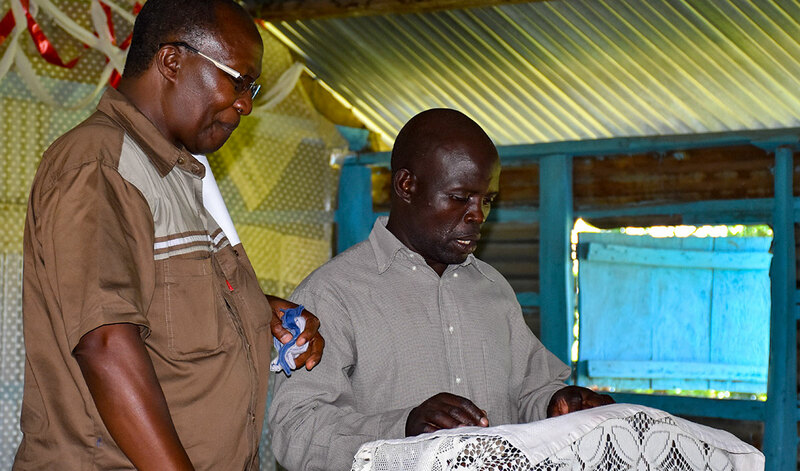 Sam has spent 20 years bringing the Gospel to some of Africa's most dangerous regions. 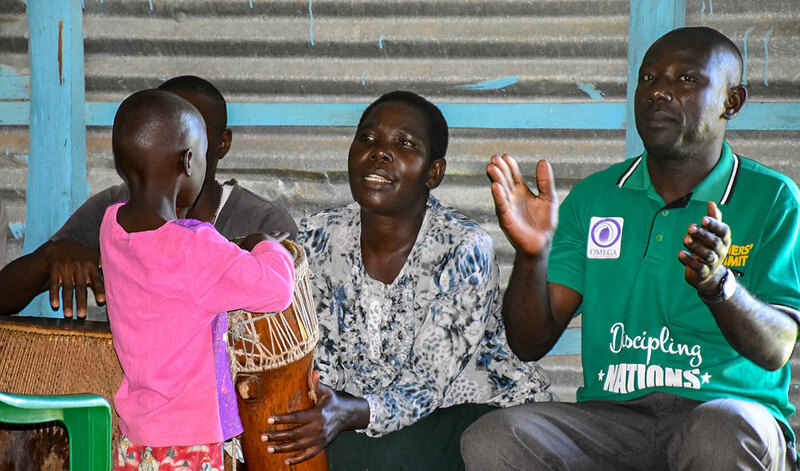 For many living on one of Lake Victoria's 84 Ssese Islands, his regular visits are their only link to the outside world and other members of Jesus' family. Traditional beliefs in lake 'gods' are still highly prevalent among the islanders. Attacks on Christian buildings and believers are commonplace. In many of the villages, faith holds on by its fingertips. Sam is a tower of strength to Christians facing such oppression. His preaching and teaching are a priceless lifeline to vulnerable Christian communities desperate for words of wisdom and counsel in the face of hostile opposition. Evangelists like Sam help churches to thrive in areas of the greatest deprivation. We hope that reading about his work will move you to make a gift to MAF that will ensure people like Sam continue their mission. 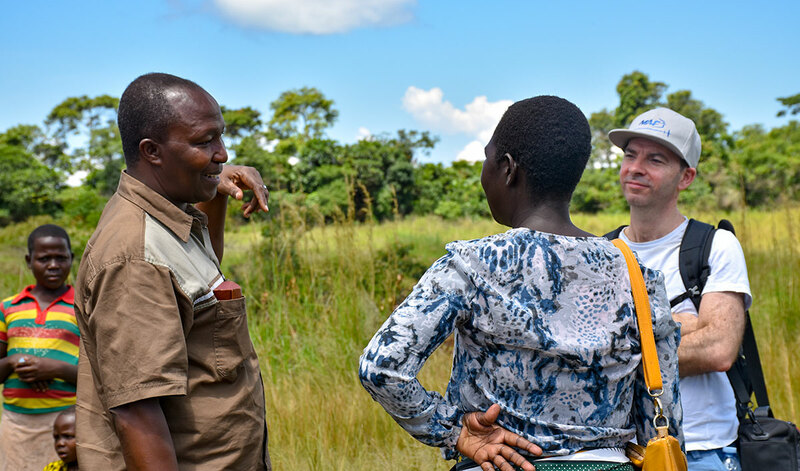 After landing on Bukasa's grass airstrip, we were welcomed by a group of villagers eager to see Sam again and curious about his new friends. Then Sam, Rebecca, MAF Pilot Lungping Domtta ('Ping') and I followed the group through a well-trodden forest path to the edge of Lake Victoria. Lwanabatya is at the northern tip of the island, so the quickest way to complete our journey was by boat. 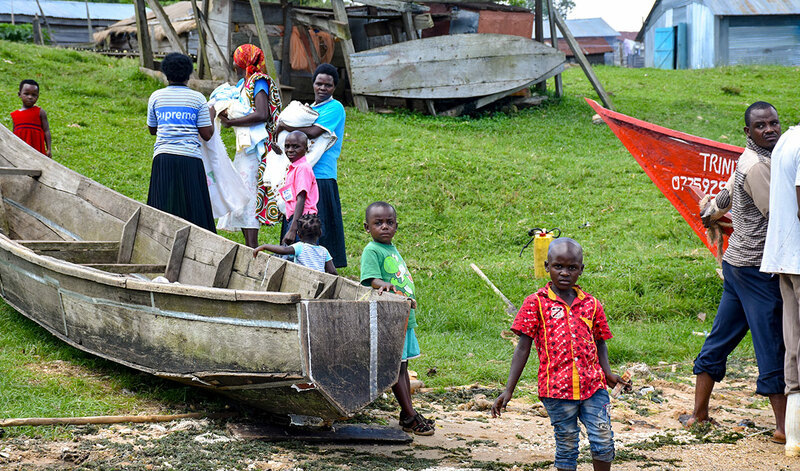 Ssese islanders spend their lives out of sight – and out of mind – of the rest of Uganda. True enough, from the moment our boat reached Lwanabatya, we were treated to an afternoon of simple, honest fellowship that was in stark contrast to the daily hardships faced by our hosts. The village is a collection of wooden shacks with rusty, corrugated roofs. The grass on which they are built is criss-crossed with worn dirt paths, baked hard by the sun. 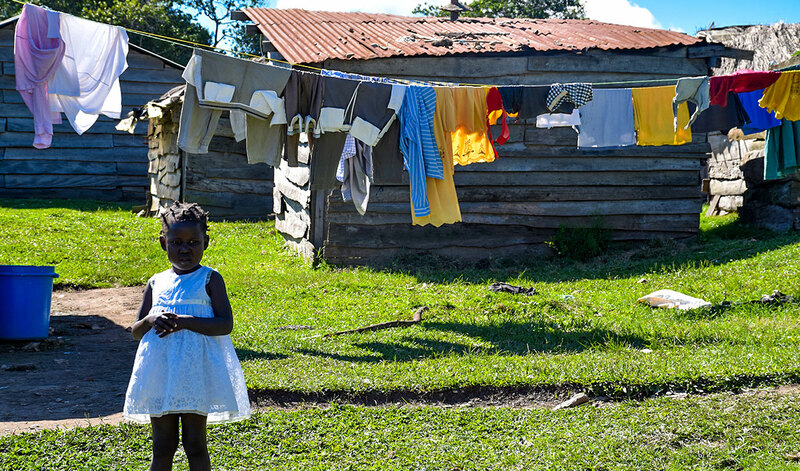 It was hard to believe that these few impoverished acres represent Bukasa's 'capital'. Walking past quizzical faces, a few chickens and a solitary cow, we eventually arrived at the barn-like structure that is Omega Healing Center – the village church. Three young boys stood with Sam to sing a song which, he told us, states most emphatically, 'Our God never loses!' Thus began two hours of amazing worship, the likes of which Rebecca and I had never experienced before. Your gift will fly help, hope and healing to Christians holding on by their fingertips. Please make a gift today that will bless a remote community. As the drumming began, the female choir led around 20 men, women and children in song. Lyrics included, 'When you serve the Lord, He will deliver' and 'I walk with Jesus because He fights my battles'. Swept along on a tide of praise, I had to remind myself that one of the main reasons we were there was to record words and pictures! After all, we'd travelled almost 4,000 miles so that this unique and wonderful experience could be shared with supporters like you. But the rhythm of the worship was irresistible. 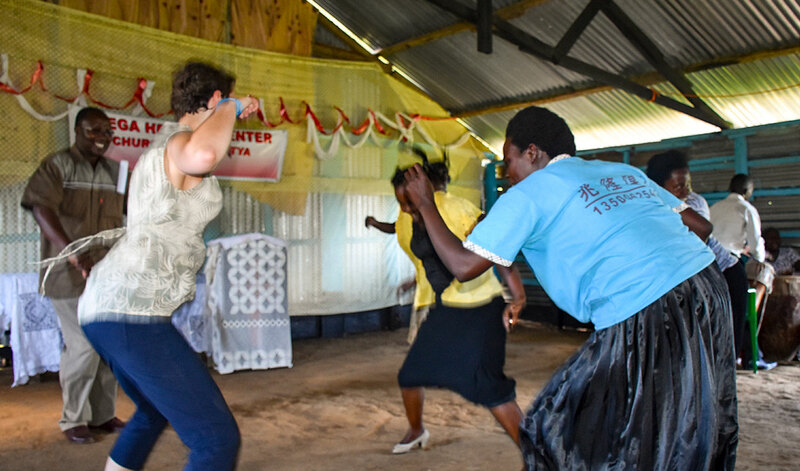 One by one, women danced to the front of the church before motioning to Rebecca to join them – and then Ping! Both our Youth Manager and MAF Pilot acquitted themselves brilliantly, to the delight of the Lwanabatya faithful and the relief of yours truly, who remained steadfastly behind the camera throughout! 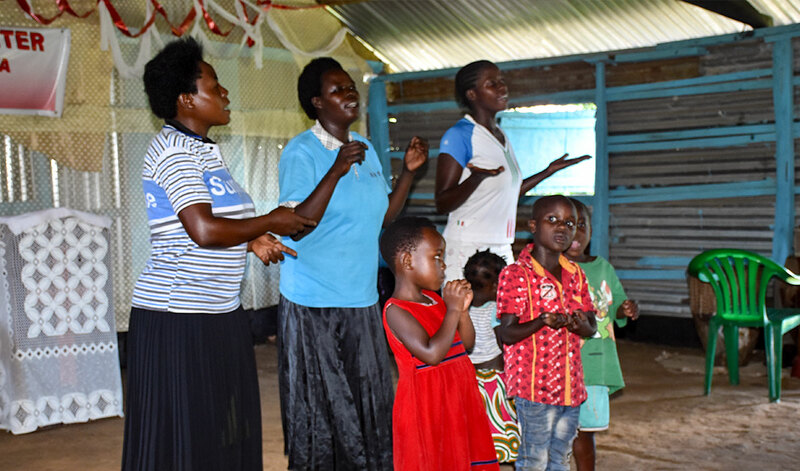 When the singing stopped and the joyful dancing ended, Pastor Joseph asked us to share a little about ourselves and the reasons for our visit. Through Sam's translation, I explained how vital it was that MAF supporters know God is building His Kingdom in the Ssese Islands. Your prayers and gifts speed the Gospel across the world. When Sam stood up to preach, I suddenly realised that nearly two hours had slipped by. 'Seek ye first the Kingdom of God, and all these things will be added unto you,' he told the congregation. For people who live such meagre lives – all but hidden away from the world – this teaching must be a stern test of their faith. They live in constant need of money for food, clothes, rent and school fees, yet are being asked to place spiritual concerns first. Using a practical example that struck a definite chord with a community so reliant upon the fishing industry, Sam reminded them their first priority as a fisherman is to find work on the lake. Over the course of the afternoon, the congregation doubled as other worshippers sauntered in through the church's open doorway. When the inspirational service drew to a close, we thanked the villagers for their incredible hospitality. Rebecca asked if she could hand out gifts to the many children who eagerly descended on the MAF Youth goodies she'd brought with her! 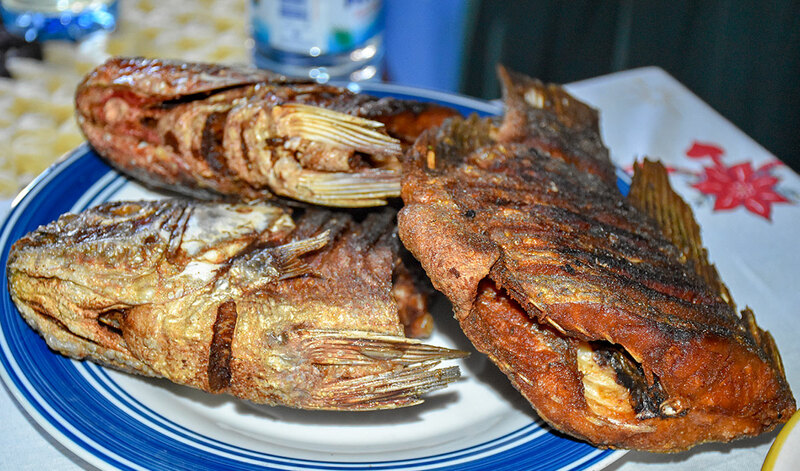 As a final honour, we were invited into Pastor Joseph's house for a late lunch of the freshest and most delicious fish we will ever taste. Then it was time to return by boat and plane to a way of life just 20 minutes – yet a world of difference – away. Sam has spent much of the past decade helping to establish 12 churches. MAF can fly this 'fisher of men' to within a boat journey of the modern equivalents of Peter, Andrew, James and John. But there are crocodiles in Lake Victoria and, although Sam told us the noise of the motor scares them away, I keep thinking of the many risks he takes for the Kingdom. On behalf of the men, women and children who need our aircraft, and showed us such love and generosity, I ask you to help us keep 'flying for life'. Now that we know the names and faces of some of the people in desperate need of MAF's help, such a request has never felt so urgent. Please send a gift today and reach out to brothers and sisters who have so little. Thank you for all that you've done to help us deliver His love to the ends of the earth, and all that you continue to do. We help vulnerable people in hard-to-reach places, but we couldn’t do it without you.